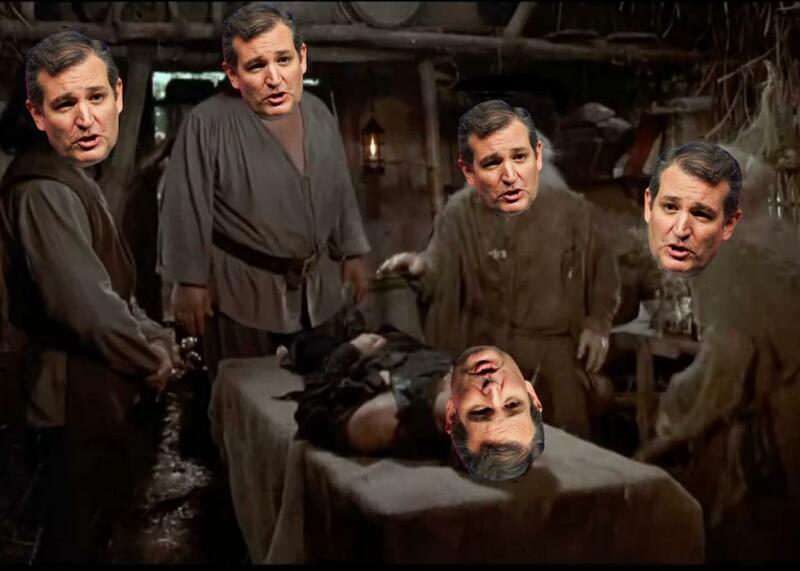 Ted Cruz narrates a scene from The Princess Bride (VIDEO). Photo illustration by Lisa Larson-Walker. Photo by Joe Raedle/Getty Images. Ted Cruz is slowly proving to be the Peter Pan of American politics. At the very least, the Texan Senator and presidential hopeful’s taste in media refuses to grow up: Among his more notable (and notorious) achievements thus far are reading Dr. Seuss’ Green Eggs and Ham as part of a filibuster and showing up for a very thirsty “audition” for The Simpsons. Now, in an inconceivable turn of events, he single-handedly re-enacted a scene from The Princess Bride as he spoke with ABC affiliate WMUR on Thursday. Is this a “politicians: they’re just like us” moment, or did Cruz just ruin something we all hold dear? And how accurately did he remember this scene? We superimposed his narration over the original to find out.